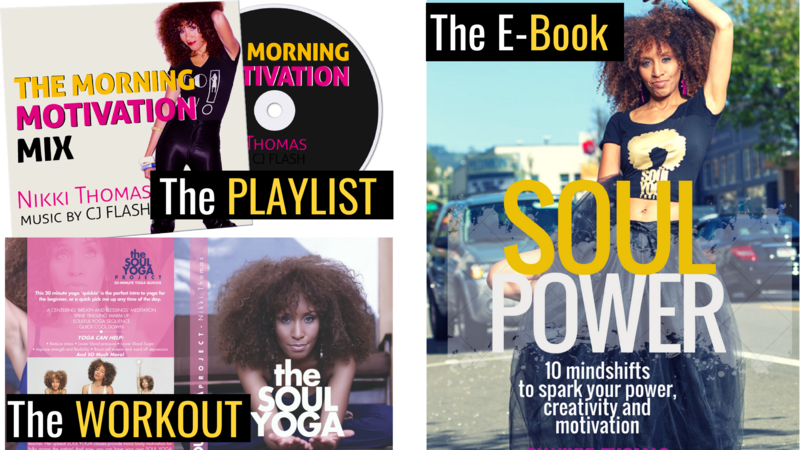 My entire COLLECTION of SOUL POWER videos and ebooks! Create powerful rituals to motivate , empower, and transform yourself. Grab the Mind/Body bundle NOW--to download, listen, and view. I love to motivate and Empower thru spirit and ritual! Check me out on 102.9 KBLX from 3-8pm weekdays, AND on Sundays for SOUL SCHOOL SUNDAY. Nikki's Morning Motivation Mix (with CJ Flash)! 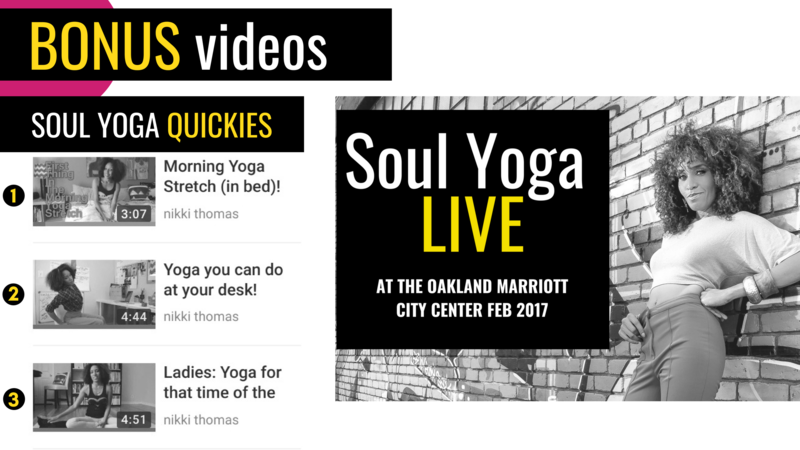 The SOUL POWER BONUS videos! 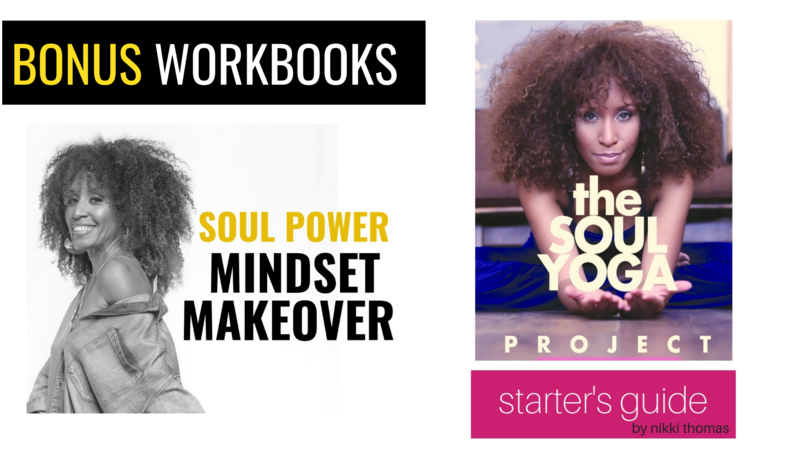 SOUL YOGA at your desk! SOUL YOGA for that time of the month (Ladies) !